In terms of mobile applications and websites, you might have heard about the term “UI” quite a lot. What does it mean actually? Why does it play such an important role while creating or designing your website? Most importantly, how can you possibly use UI designs for enhancing your mobile application? These are important questions and definitely need some answers soon. 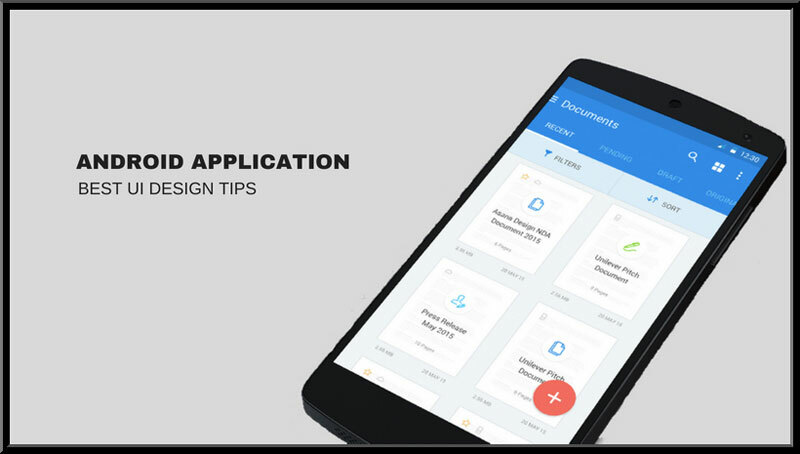 That’s why it is highly requested to get in touch with android mobile application development experts to talk about the best UI design tips, solely for the android based mobile app development. Often termed as User Interface, UI solely refers to visual aspects in an app or website. The color schemes, typography and even the layout of multiple designs are part of the major UI source. For example, if you need to place a call to action button on the website, the fonts and colors will be decided by UI developers. However, the functionality, placement and even resolutions are headaches of UX experts. Before you head for the proper use of UI designs, make sure to keep some quality tips in mind. This can help you brilliantly in every instance. Unless you are aware of your potential users, you won’t be able to include the perfect image or color scheme for your mobile application. So, once you are pretty sure of your audience, you will find it easier to cover the UI issues well with time. Furthermore, you are free from making such huge changes in the near future, as well. This service always comprises time as you need it for harvesting demographic based data, as acquired through the basic analytic methods. This data is important to let you know about the user interface of your choice is well-received by the client base or not. Thanks to a killer icon for your android app, you can easily make your business stand out in the crowd. Whatsapp, Facebook, and even Google icons are well recognizable by people around the world. So, you have to ensure that your app icon will reflect the style and color of your brand well. Make sure to use the icon consistently across pages and screens and on all the available marketing collateral. The primary source over here is to forge a proficient bond between the brand’s message and icons for people to make some instant connection. While designing an app logo, you might have to use the name’s initial or the unique image in the icon. It will help in increasing market visibility to a great extent. You might also want to avoid some long words incorporation as it can affect readability to a next level. Try submitting multiple iterations of the icon while publishing an app. Whenever you place a word, dot or even a line onto monitor or screen, you are defining the padding and margins. Every stroke from your side helps in determining the space you need to work with. So, with the strokes you are making, ensure to maintain constant heights and widths with the padding and margins. For example, you might have a good reason to use 60 pixels in one place and in another a smaller number of around 20 pixels. If you don’t do that, everything will look a lot similar, and that you don’t want! Right now, the magic is in simplicity. It will definitely make everything convenient for an audience. So, always going for the minimalistic approach is what can help you go a long way in helping out users to rely completely on your designed application. There are some developers, who might misinterpret the solution by sacrificing style way more than they should. They might end up sacrificing to such a point when the user interface ends up all bland. It is not a good idea to sacrifice design for ensuring a promising user engagement. Minimalism is what you should consider, which will reduce the time taken otherwise for starting using an app. Moreover, you should not look for any of the unnecessary instructions and tips, which will make the users confused even before they start using the app. These are significant parts of the android app development services to consider. What is the meaning of visual hierarchy whenever it is about user interfaces for mobile apps? It mostly involves the major app component on top and others will have to follow that based on useful quotient to users. Most of the time, this service can be achieved by creating a mental list of features and then ranking as per the value. Once you get hold of it, you can prioritize features users can always rely on every time whenever they open the app. 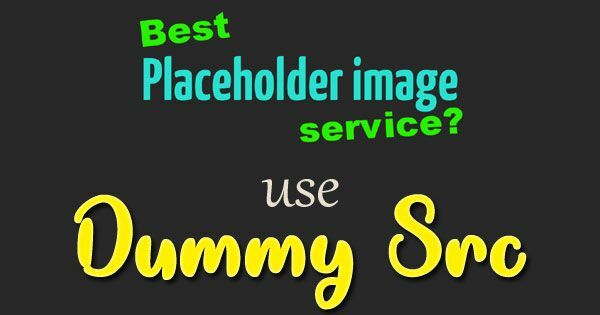 So, keep these valuable points in mind before addressing the best UI design for the android app. Jennifer Ruth is a well-known android app developer, work at HireMobileGeeks to manage the android mobile app development services. She has a fine interest in the article writing about mobile marketing, application design etc., follow her on Facebook to get instant updates. You may like: ERP and SaaS – What's their Relationship Today? Where is it Headed? Great Article it its really informative and innovative keep us posted with new updates. It was really valuable. thanks a lot. Mobile app development. Awesome post this really helped for someone like myself!! Great article!! Thanks for the information.Keep sharing more articles. Hi..This is a very good article to know about android mobile application tips.. Beautifully written about it. Thanks for valuable informative. I liked 4th point the most. Simplicity is really a key while interacting with users. Too much of design makes it complex and difficult for users to navigate. The best UI design for mobile app development is very much needed these days as it will help you thinking of new designs daily. UI design plays crucial role to hold visitors and turn them into the customers. Here you have cleared all the points to keep in mind while going for android app development.